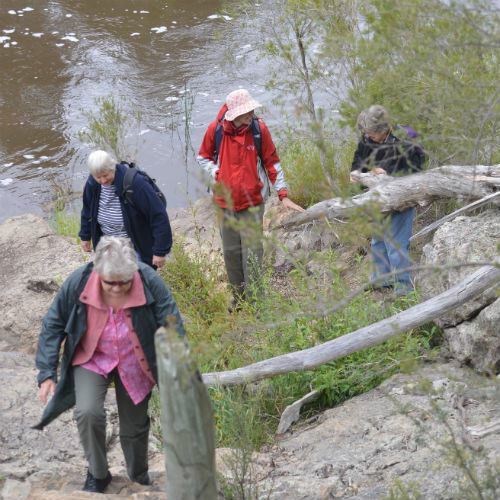 Our bushwalks mostly take place on the first Saturday of the month. Many vegetation types are accessible within an hour’s drive from Goulburn so there is a good variety of plants to be seen. A number of plant species with very restricted distributions occur nearby. Two of these are the Tallong Midge orchid and the Ice Age gum (Mongarlowe Mallee) – Australia’s rarest eucalypt. We visit national parks, reserves and when possible, bushland on private properties as well as Botanic and private gardens. 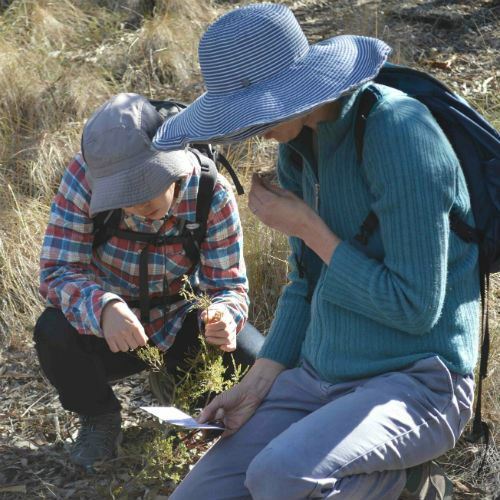 Once a year we do a bushwalk jointly with the Goulburn Field Naturalists to a local reserve to do a plant survey. The results from this survey are then sent to the relevant authority, e.g. NPWS. Local birdlife is also an interest of some members and our walks provide opportunities to observe and learn. We propagate plants from seed and from cuttings. This takes place at the home of one of our members where propagation facilities are located. Spring and autumn are the favoured times of the year. Sessions are timetabled for a Saturday or Thursday morning. New members who may be inexperienced in propagation learn from those who have been propagating for some time. 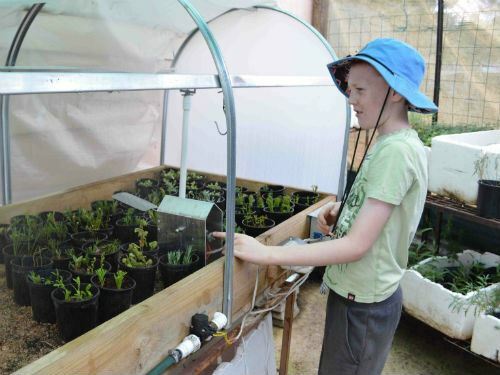 The plants we propagate are destined for the Goulburn Wetlands or plant sales. Members also have an opportunity to propagate their own plants. Naming plant species is an important activity on our walks. Experienced members share their knowledge with the less experienced. For those who wish to go further in plant identification, the opportunity to learn how to use identification keys can be arranged. Most of our propagated plants go to the Goulburn Wetlands. Plants go to the wetlands proper or to a number of garden plots set up on the upper parts of the area. The role of these garden plots is to demonstrate the range of native plants that can be grown in local gardens. These gardens are managed by a subcommittee. 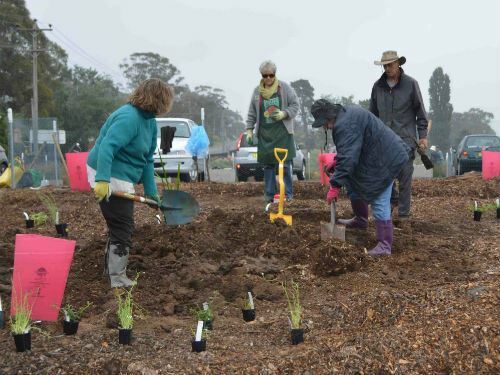 Members can also join the landcare group which is responsible for carrying out the plantings and other activities needed in the project. On the first Saturday of July, we have a presentation on one or two aspects of native plants. The presenters may be group members or from others outside the group. This activity replaces the monthly walk. We usually have one or two plants sales a year. These take place at either local markets or the Windellama field day. 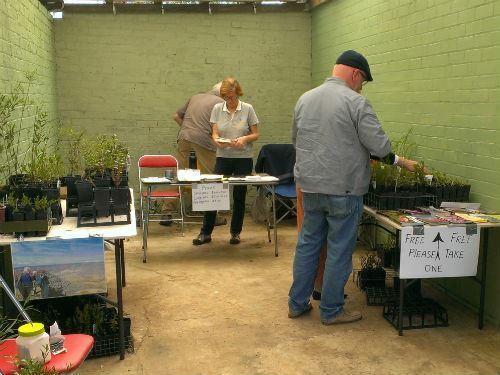 Help is needed to set up the stall, help in plants sales, interact with the public with advice on species selection, our groups activities etc. Sales are our major source of income but are also an effective way to publicise our group. District groups are able to plan joint activities as they wish. Our group has participated in activities with the Southern Highlands and Canberra groups. Each year in NSW, four quarterly gatherings are hosted usually by one of the larger district groups with a range of organised activities. One of these gatherings is the annual District Group Get-together (again hosted by one of the larger groups). Some of our members usually travel to this Get-together and share transport when possible. It is an excellent opportunity to meet with like-minded people.